I've been in a creative slump lately. No crafting, no scrapbooking, no writing, not even any photography. But I spent the afternoon with Phin and another one of our mutal friends, Mary and her friend Chandi. We sat around Mary's living room and made jewelry and chatted by the fire. It was a lot of fun working with my hands again and being in a room with very creative women. I'm feeling inspired. Chandi had purchased a necklace that Mary wanted to reproduce and Phin and I were along for the ride. Both Mary and Phin made necklaces. Phin finished hers and it turned out awesome! Mary still had to finish another strand by the time we had to leave. I didn't account for enough thread to make a necklace, so mine ended up being a bracelet. It still turned out pretty cool. 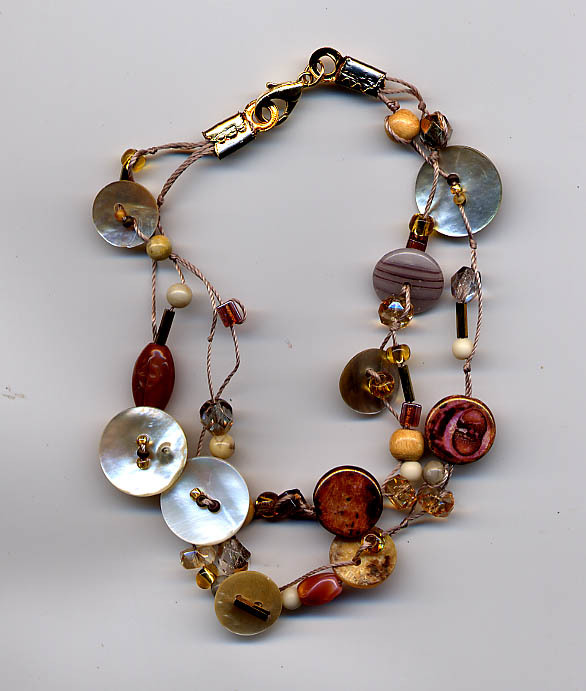 Love the randomness of it and the various textures with the glass, ceramic, stone and wooden beads and shell buttons. 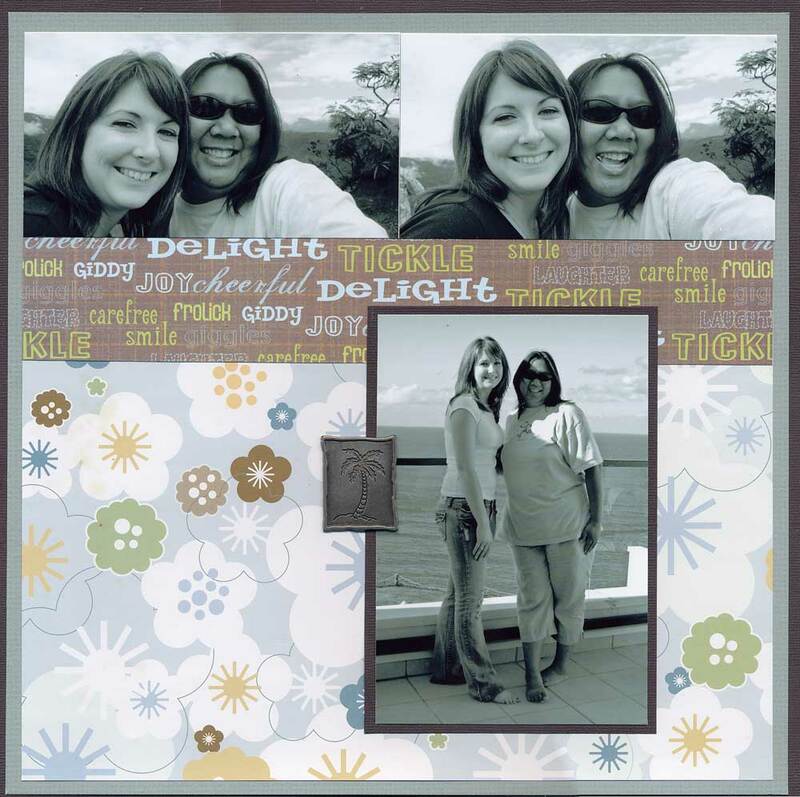 I cheated because aside from figuring out what photos to put on this, the layout was finished. It had been sitting on my desk for about 3 months. The next challenge is to create a ribbon border. Phin - I actually have an idea brewing in my head. Let's see if I can actually execute it now. Since you are so top-of-the-world creative, Mad, I'm guessing you can allow yourself down time! I see you have great friends to motivate and inspire you. So, you go, Girl! I think sometimes the best work is that which is inspired and motivated by either being with or watching other creative souls. Love the bracelet and the page. As always, beautiful work. The bracelet is beautiful, as is the page! Keep creating. It's so great that you have creative friends who inspire you! i love the scrapbook page just the way it is. I would like to see more of your pages. i would love to photograph and post some as well. I'm glad you shared the picture of the bracelet (love it!) and the scrapbook page (lovely!). I've missed seeing your work!